Craved curates craft food and drink made in Britain. We work with and support the nation's most exciting independent producers. 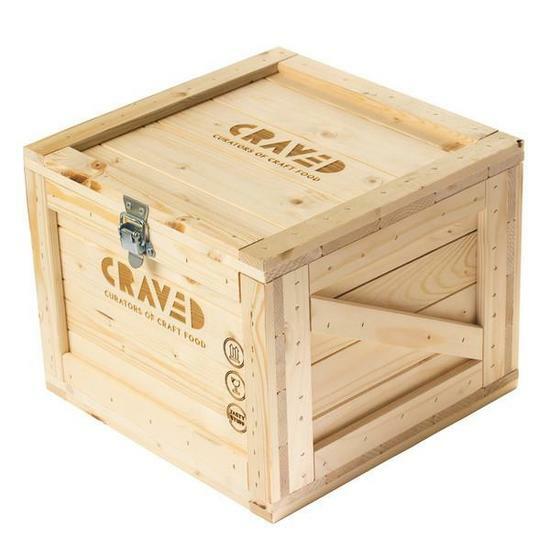 Craved curates craft food and drink made in Britain. We work with and support the nation's most exciting independent producers, offering a unique selection of small batch food and drinks thare are unavailable on the High Street or in supermarkets. We also curate brilliant gifts for foodies filled with these products. Our business started in London where we noticed a growing community of small batch producers. We now source from across the UK as the market for new and exciting tastes accelerates - we currently sell over 200 products made by over 80 amazing indie producers from around the country. We believe in craft, flavour, and supporting the people behind the product. Our ambition is to personalise the food market, reconnecting us with what we eat and allowing people to discover the best craft food and drink made in the UK. By increasing the availability of independent craft food and the number of producers who make it, we hope that in time there will be a change in the way that we think about our communities and the food we eat. Next Day Delivery is £6.95 and arrives the next working day if ordered before 2 pm, Monday-Friday.